Like to paint; wants to do experiments with colors and brushes, simply pick up oil paints! They are referred to as “Queen of the mediums” and they sure are. 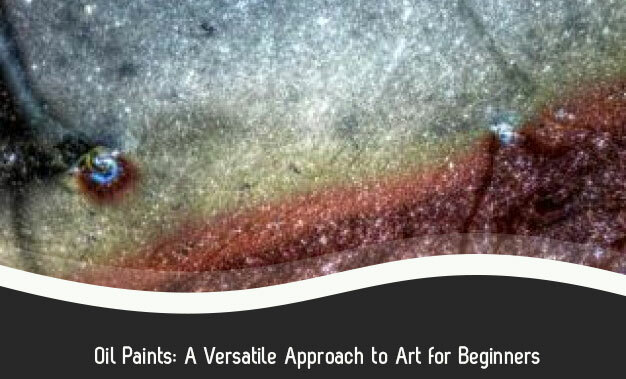 In this blog, together we will explore the versatility of oil paints. Oils have been the favorite of artists since the early 15th century. For oil paint, dry pigment is mixed with linseed oil. Linseed oil mixes with oxygen and creates a crystalline texture once dried. Its long-lasting properties and luminosity of colors make it desired for both interior exterior uses. Van Gogh, Monet and Da Vinci painted their masterpieces using oils. Canvas painting is all about expressing your creativity and oils on canvas can create beautiful blends and textures that leave the spectator astonished. The following advantages of oil paints give oil paintings unique individuality. Oil paints are slower to dry as compared to other paints, such as watercolors. This allows more time for artists to work with their designs and do the modifications. If you get bored with your work, leave the painting and come back after relaxing; you can pick up from where you left. Oil paints usually take hours and hours to dry up. Oil paints offer an extensive range of colors and a rich color complexity, as they can be mixed more freely than watercolors or acrylics. Artists can delicately change the richness and tone of colors by adding minute amounts of other colors. This property is due to longer drying time of oil paints. Oil paints help creating impressive textural effects. They can be applied to different surfaces in a variety of other ways. Any kind of painting style, from thin glazes to opaque impastos, can be attained using oil paints. It’s quite a forgiving medium. Do not like a color or a line on your painting, simply scrape it off. This is a huge advantage while working with oil paints. Oil paints remain same in color as at the time of applying. This makes it easier for artists to guess what the end color will look as compared to other paints like water colors that can change their color after drying up. When your project involves painting over more than one session, oil colors is the best choice for you. Always remember this rule when applying oil paints in layers. This rule states that more oil should be used with dry pigment when coating a layer above another layer. This helps the paint to settle effectively. Unlimited effects can be achieved using only the regular vocabulary of things: canvas, paints, priming, and varnish. An acrylic painting may have its leads, but oil paintings have always been the ones considered the best for beginners, since ages.